Unplug, breathe the fresh air and jump on our Ski Bus from San Francisco to Squaw Valley resort! Choose between two different options for your trip, Lift + Bus or Bus Only. We take all the hassle out of getting to the slopes all you need to worry about is catching some Z’s on the ride up, we handle the rest! Squaw Valley is one of the most famous ski resorts in the world. And it’s not hard to figure out why. Home to ski legends old and young, host of the 1960 Olympic Games and owner of incredible terrain. These are factors that have put Squaw in the ski hall of fame. Not a bad place for a day trip right? You’ll find there’s a trail for everyone here, whether you’re just a beginner or a seasoned pro. 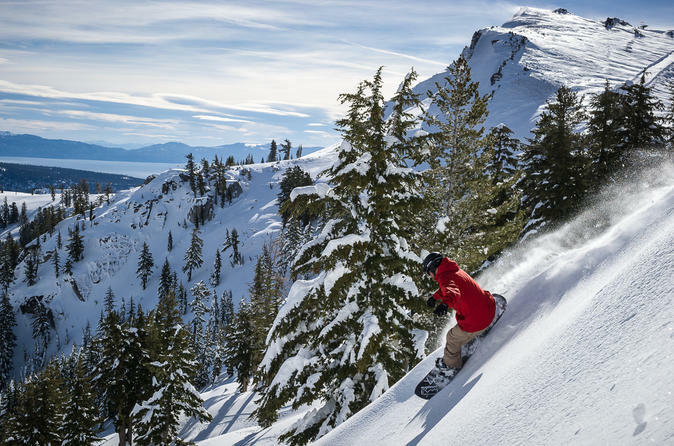 With the second largest ski-able terrain in the Lake Tahoe region, there are endless ways to explore and find bliss in the mountains with plenty of on-hill amenities that are second to none.